Valley of the Sun Dog Rescue is a NO KILL, all breeds rescue and adoption service and has been a registered 501(c)3 non-profit organization since the year 2000. We specialize in American Pitbulls and American Staffordshire Terriers, but we accept all breeds into our rescue. We are headquartered and operated from our home. We are a family run organization with the help of foster care providers and volunteers. With this great working staff we rescue all breeds of dogs that are ill, injured, maimed, abandoned or simply unwanted. Our dogs are obtained from the various animal shelters in the area, as well as those animals given up by private citizens. Our mission is to rescue abandoned, injured or abused dogs, rehabilitate them, have them vaccinated, spayed or neutered and help them find their forever home. 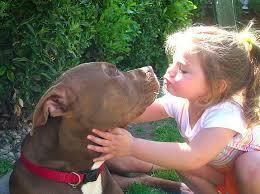 We also strive to in crease public awareness about the gentler, humane side of a “Bully” breed. 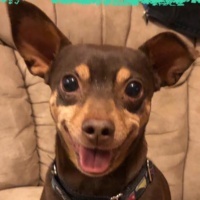 We hold adoption clinics every Saturday and Sunday from 10:30 am to 2:00 pm at the Petsmart Pet Center on the northwest corner of Mckellips and Power Road in Mesa. Although we specialize in American Pitbull and American Staffordshire Terriers, all dog breeds in need are accepted with open arms, evaluated and treated as necessary and adopted to private homes. Our prospective adopters are required to fill out an in depth application and adoption contract, submit to home checks for a period of one year, as well as pay an adoption fee for the animal. Additionally, there are monetary penalties that must be agreed to for any mistreatment of the adopted animal. We also reserve the right to reclaim the animal in the event of mistreatment. Further, we reserve the right to pursue any individuals for mistreatment or neglect of the adopted animal through the court system or law enforcement agencies. All of the above must be read, initialed and the entire document signed prior to any adoption. We also have additional and specific requirements of the prospective adopters and their families to adopt a “bully” breed that must be met. How Can Having a Pet Prevent Kids from Using Drugs or Alcohol? Here are other ways to help the Rescue ! Log in through smile.amazon.com and Valley of the Sun gets a portion of the sales. If you are Buying or Selling a Home! Contact Shawni. She will donate $250.00 dollars of her commission to Valley of the Sun Dog Rescue! This little Min-Pin is 6 years old. He is full of energy and loves to play fetch. You would think he is a puppy by his energy level. He can be a snuggle bug when he is done playing. Einstein is one of our medical dogs and is on a prescription dog food til the end of the year. This boy deserves a home with people who love him. 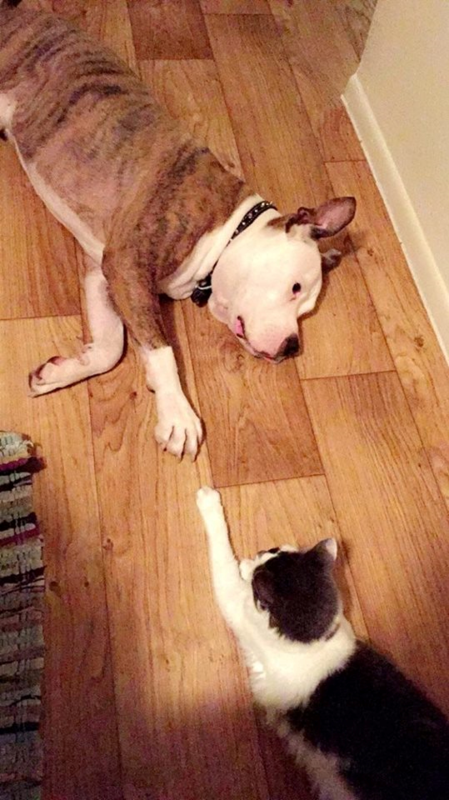 He does get along with female dogs and kids but not cats. He is a typical Min-Pin and has the attitude that goes with that label. Please consider making Einstein a part of your family. Six Reasons to become a Foster!! !